In 1912, the Polish scientist Kazimierz Funk introduced the term “vitamins” for the first time, and the discovery of the B group vitamins is related to his research. At first it was thought that only one existed. Just later on, it was noted that behind this category there were actually a whole group of substances with specific tasks of primary importance to the body. What are the main functions of the B vitamins? • Strengthen the immune system and help fight different diseases. Every group B vitamin has not only a number, but also a name and a different meaning: we are talking about B1, B2, B3, B5, B6, B7, B9, B12 vitamins. These essential nutrients play a central role in the production of energy, allowing our body to transfer what we eat into energy to be exploited throughout the day. Because of the important work done by B Group Vitamins on the central and nervous system, one of the first symptoms of vitamin deficiency is a strong sense of tiredness, irritability, insomnia, depression, weakness, lack of memory and attention. If suddenly your hair has started to fall off or your nails break easily, then it’s more than likely just lack of B vitamins. Where are the B Group Vitamins? Although the B vitamins are found in many foods, because of their watery composition, they are extremely delicate. They are easily destroyed in particular during the cooking process or by the consumption of alcohol. Food processing can also help reduce the amount of B vitamins in food, making the white flour, bread and rice less nutritious than their whole counterpart. The body has a reduced capacity to store most of the B vitamins (with the exception of B12 and folates, which are stored in the liver). For this reason, a person with an extremely poor and non-variety diet could find himself in a couple of months with a lack of B group Vitamins. The only solution is to take an adequate amount of these vitamins regularly as part of a well balanced and nutritious diet. 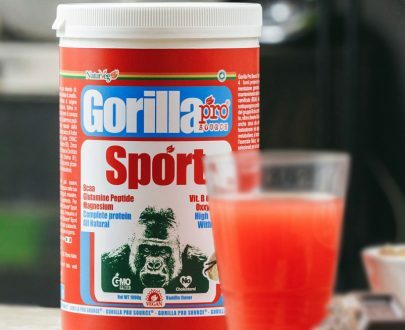 Thiamin (Vitamin B1) is mainly found in: whole grains, peanuts, seeds, beans, spinach, savoy, wheat germ and in our Gorilla Sport, Gorilla Slim and Gorilla Pink supplements. Thiamin was the first vitamin to be discovered and plays a decisive role in the work of the central nervous system. Vitamin B1 also contributes to the functions of acetylcholine, a neurotransmitter involved in the processes of memory, in the health of the heart muscle and of the organs of the intestines. Practically in all the processes where occurs an energy exchange, Thiamin is involved: lipid exchange, protein exchange, assimilation of amino acids, etc. In other words, without this vitamin, we wouldn’t have enough energy. Also, Vitamin B1 takes part in the process of transmitting genetic information in the process of cell division. Thiamin deficiency is common especially in countries where the base food is white rice. In Western countries, it usually occurs in cases of alcohol abuse or an extremely poor diet. Symptoms due to Thiamin deficiency (Vitamin B1) include irritability, confusion, difficulty in coordinating limbs, apathy, fatigue and muscle weakness. • Dry and wet Beriberi: caused by thiamin deficiency (Vitamin B1), this pathology involves the cardiovascular, gastrointestinal, muscular and nervous systems. A patient suffering from “dry” beriberi mainly affects his nervous system. In this case, the sense of fatigue is accompanied by loss of memory and pain in the limbs. The symptoms of “wet” beriberi are instead related to the cardiovascular system, among the main ones: infarction, cardiac dilatation, and arterial relaxations. • Wernicke-Korsakoff syndrome: a disease caused by thiamin Vitamin B1 deficiency, related to alcohol abuse and an extremely poor diet. Alcohol reduces thiamin absorption in the stomach and promotes its expulsion from the kidneys. Among the main symptoms: involuntary movement of eyeballs, paralysis of the eye muscle and mental confusion. Riboflavin (Vitamin B2) is mainly found in: Almonds, wholemeal bread, green leafy vegetables, yeast, Indian rice, milk, yogurt, eggs, Brussels sprouts, spinach, soybeans and in our Gorilla Sport, BCAA STACK, Gorilla Slim and Gorilla Pink supplements. Riboflavin (Vitamin B2) plays the role of antioxidant and helps to fight free radicals, those particles in our body that damage cells. It also helps to prevent aging and the development of heart disease. Riboflavin also proves to be important in the production of red blood cells, as it supports the transport of oxygen into the body. Riboflavin deficiency (Vitamin B2) causes. Riboflavin deficiency causes ariboflavinosis, a rare disease that also manifests itself with the lack of other B vitamins. People at risk are those who suffer from particular intestinal diseases or don’t follow a proper diet. Symptoms include inflammation, injury, and redness in the tongue and corners of the mouth, anxiety, inflamed pal-parks, light sensitivity, hair loss, red eyes, and skin rashes. Niacin (Vitamin B3) is mainly found in: Yeast, cereals, beans, green leafy vegetables and in our Gorilla Sport and Gorilla Slim supplements. Niacin (Vitamin B3) is essential for the conversion of carbohydrates, fat, and alcohol into energy for our body. This vitamin helps to keep the skin healthy, supporting the nervous system and the digestive system. Unlike other B vitamins, niacin (Vitamin B3) is quite stable and partially lost just during cooking. Excessive intake of vitamin B3 could cause problems to the nervous system, nausea and liver damage. Un’assunzione eccessiva di vitamina B3 potrebbe causare tuttavia problemi al sistema nervoso, nausea e danni al fegato. The lack of Niacin (Vitamin B3) causes pellagra, a disease that affects mainly those who abuse alcohol or follow a diet based on corn. Other causes are related to digestion problems that prevent the body from absorbing the right amount of Vitamin B3. The main symptoms of pellagra fall under three D groups: dementia, diarrhea, and dermatitis. Other symptoms include irritability, loss of appetite, mental confusion, weakness, dizziness, inflamed and swollen tongue. If left untreated, this disease can lead to death. Pantothenic Acid (Vitamin B5) is mainly found in: Avocado, yogurt, peanuts, legumes and whole grains. As the etymology of the word suggests, from the Greek pantothen – “from everything,” pantothenic acid (vitamin B5) is found in almost every food in a different extent. 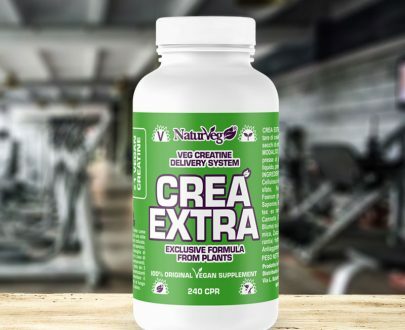 Among its functions: conversion of fats and carbohydrates into energy, production of hormones related to sexuality and stress, including testosterone. Because of its presence in many foods, the deficiency of Pantothenic Acid is extremely rare. The main symptoms include loss of appetite, intestinal stress, constipation, insomnia, and fatigue. 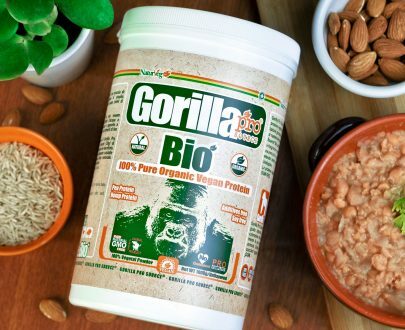 Pyridoxine (Vitamin B6) is mainly found in: lentils, sunflower seeds, brown rice, carrots, and in our Gorilla Sport, BCAA STACK, Gorilla Slim and Gorilla Pink supplements. Working together with Vitamin B12 and B9, pyridoxine (Vitamin B6) helps to regulate the homocysteine, an amino acid associated with the heart well being. This vitamin also plays a fundamental role in sleeping rhythms, as it contributes to the production of serotonin, melatonin, and noradrenaline in the body. Pyridoxine helps to assimilate proteins and carbohydrates, supports the formation of red blood cells and some neuronal chemical processes, influencing brain development, the immune system and the activity of steroid hormones. An excessive pyridoxine intake can cause damage to nerves and gait problems. Those who abuse alcohol, women, elderly people and those suffering from thyroid problems are the categories most at risk. Symptoms include insomnia, depression, anemia, swollen tongue, irritability, convulsions, dermatitis, and confusional states. Named “vitamin of health” because of its importance for the well-being of hairs, skin, and nails. Biotin (Vitamin B7) is considered able to decrease blood glucose and contribute to the healthy growth of the baby during pregnancy. Biotin (Vitamin B7) is necessary for energy metabolism, fat synthesis, amino acid metabolism, and glycogen synthesis. However, a high intake of biotin can increase cholesterol levels in the blood. The lack of biotin (Vitamin B7) is a very rare phenomenon, as it is widely present in many foods and the body doesn’t need large quantities. Consumption of raw white egg over a long period, as some bodybuilders do, for example, can cause Vitamin B7 deficiency since, in the white egg, there is a protein that inhibits the absorption of biotin. Among the most frequent symptoms are pale skin color, chapped and sore tongue, depression, hallucinations, loss of appetite, nausea, hair loss, muscle aches, fatigue, and weakness. Folic acid (Vitamin B9) is mainly found in: dark leafy vegetables, asparagus, beet, roots, and beans. Scientific researches show that folate helps to control depression and prevent memory loss. This vitamin is also essential for women during pregnancy as it supports the baby’s growth and prevents neurological defects in the unborn child. In fact, to prevent the risk of spina bifida, it is often recommended to take Vitamin B9 supplements during pregnancy. An excessive intake of folic acid (Vitamin B9), even if considered non-toxic, can cause two categories of problems. On one hand, the excess of folate can cause irritability, anxiousness and intestinal dysfunctions. On the other hand, it could hide a possible Vitamin B12 deficiency. Therefore it is always suggested not to take more than what’s necessary. the risk of vertebral problems for the unborn child. 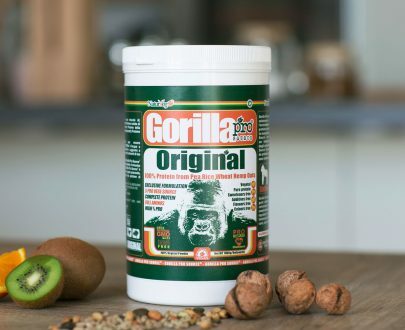 Cyanocobalamin (Vitamin B12) is mainly found in: food of animal origin and in our Gorilla Slim supplement. Vitamin B12 plays a leading role in the B Group Vitamins because of its essential functions: it helps to produce and defend myelin around nerve cells, it helps the cognitive abilities, the cell formation of red blood cells and transforms into energy some categories of acids and amino acids. Vitamin B12 deficiencies are found mainly in elderly people, vegans, and newborns fed by a vegan mother. Symptoms include fatigue, lack of appetite, weight loss, palpitations, loss of vision, mental problems, depression, and memory loss. To learn more about Vitamin B12, see the article dedicated to this vitamin.